a fitness minute: Are Pre-Cut Vegetables Safe? 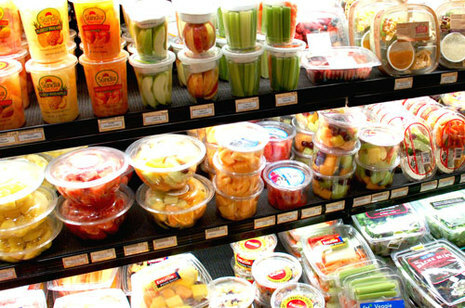 Pre-washed, pre-cut, ready-to-go packages of fruits and vegetables can save time but can be risky. Proportionally more outbreaks of produce-linked illness come from fresh-cut produce than from produce left whole. Some studies found that slicing before packaging can multiply the risk by six times. It may be better to fore-go convenience and stick with whole fruits and vegetables when buying produce.